Companies have exhibited growing interest in sustainability rhetoric in recent years. The process of assessing sustainability rhetoric is hindered by difficulties in understanding whether a company’s commitment towards sustainability is ‘real’, or if it consists of ‘empty words’ that hide opportunistic strategies. Our paper contributes to this debate, proposing a methodological approach that is based on a company’s business model (BM) representation. Since social and environmental performance are considered important to the long-term success of a business, it is expected that an engaged company integrates sustainability into its value creation process. The same company will take advantage of the BM representation to communicate its real commitment to external users. Compared to previous methodological studies, our analytical method assesses engagement levels separately for each sustainability issue. From an operative viewpoint, our proposal is addressed to regulators and standard setters who are involved in the regulation of sustainability disclosure. Our illustrative example—the UK mining industry—suggests that companies use strategic rhetoric to address sustainability issues, especially issues that pertain waste, corruption, lobbying, and labour conditions. Moreover, we found that effective sustainability rhetoric focuses on infrastructural aspects of the mining business, while other BM pillars are almost completely ignored. Omission bias refers to the human beings’ tendency to evaluate a wrongful omission (e.g. a deliberate omission of a negative information) less harshly than a wrongful commission, although the consequences are often the same. Several psychological studies have shown that this bias is widespread as wrongful commissions can cause greater condemnation and public concern. However, the omission bias in financial reporting has not been surprisingly empirically investigated. Companies may prefer omitting negative information rather than providing misleading/false information as they believe users perceive omissions in a less negative way, because of the omission bias. The aim of the paper is to test whether potential annual reports’ readers are affected by omission bias when they view financial graphs displaying a negative trend. We test with an experiment whether techniques of favourable omission and commission via graphs affect the users, even though the information is still displayed via other formats (a table or a text). The paper shows that users perceive performance graphs’ omissions not to be morally wrong. On the other hand, they perceive distracting the reader via another indicator graphed (number of branches) and via favourable distortions as morally worse techniques compared with cases of omissions and, even more, of correct representation. After being taught impression management and after having revealed the preparers’ intentions, users seem to evaluate wrongful commissions still more harshly than omissions. Thus, omission bias does not seem to be removed or significantly reduced by revealing the preparers’ disclosure intention or by teaching users the correct graphical design and the risks of impression management. Overall, our results show that potential annual reports’ users suffer from an omission bias. The study contributes to the impression management literature showing the importance of incorporating a psychological perspective that takes into account cognitive biases. Sustainability reporting analysed through content analysis and text mining: two techniques competing to generate the same results? The aim of this paper is to contrast content analysis and text mining as two different research techniques both used by scholars to analyse company social and environmental reports. The paper starts with a presentation of the two research techniques commonly used in the analysis of corporate disclosure with special emphasis on social and environmental reporting. It examines the techniques with respect to the assumption each holds about the nature of knowledge and it continues with a discussion of the elements that display the differences and similarities between them. This theoretical part is enriched by a comparison in frequency usage and fields of applications of the two techniques. Then, the paper presents an empirical application of the two techniques to the same set of company reports published by four large multinationals that went through an industrial disaster characterized by negative social and environmental consequences with the aim to analyse changes in company social disclosure after the disaster. Results from the application of the two techniques are compared to see whether they lead to different conclusions about company behaviour in trying to restore corporate reputation damaged by the disaster. Investigating risk disclosure practices in european listed companies. What’s going on about reputational risk? The aim of this research is to investigate how European listed companies disclose on risk and to underline which kind of them influence companies’ decisions on exhibiting infor-mation about reputational risk in their annual report. The research measures risk information by conducting a content analysis of annual financial reports for a sample of 538 European listed companies (France, Germany, Italy, Spain and United Kingdom). The paper is a multi-country study that emphasizes the differences in risk reporting practic-es, focusing on different variables that affect the related content of annual financial reports of our sample. From a theoretical point of view, this research has been developed adopting Walker risk classification model (2013) to systematize the different types of risk and to an-alyse the connection with reputational risk. Our major findings show that there are still many differences in risk disclosure practices both among Countries and types of reported risk. Moreover, the companies that disclose more on reputational risk, are those that have a higher sensibility to risk management and that disclose more also on all the other types of risk. Italian State-Owned Companies often present a public-style accountability. Nonetheless, they generally have to comply with private sector reporting requirements. This significantly impairs the effectiveness of their financial reporting system and limits the control by the relevant public authorities. Observing the reporting requirements of Australian and New Zealand SOEs, the study calls for a radical change in Italian SOE reporting model and highlights a first set of minor possible amendments to the current financial reporting model. The Information Technology Controls (ITC) have a great influence on the reliability of financial reporting. 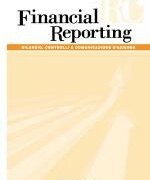 They are part of Internal Controls over Financial Reporting (ICFR) but the area of Information Technology is often not well integrated and coordinated with the traditional Internal Controls, in absence of a compulsory Framework. A survey was conducted on a sample of companies listed on the Italian Stock Exchange. 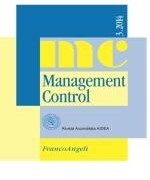 The results of this research offer an improvement of the Internal Control over Financial Reporting framework that consider the Information Technology peculiarities and specifies some conditions for their utility in relation to the main phases the audit cycle (scoping, planning, risk assessment, documentation, evaluation, reporting).